Life is the sum of all the choices that we make. It comes up with lots of surprises and memories that are associated with it. This is a story of love, relationship, friendship and an amazing journey called Life. It gives a glimpse of the life of Tublu - from childhood to boyhood to manhood! One fine day a father son duo of Bipin and Tanmay alias Tublu, displaced by a mighty Brahmaputra flood lose their livelihood and house; land at the Mr. Sharma's place. The Sharma's being kind and benevolent, provide them a way of life.Being their only ray of hope, the Sharma's - Mr. Sharma, Mrs. Sharma, Paplu and Sujata Sharma alias Maina get closer to Bipin and his son. An introvert Tublu develops geniune affection, a secret crush for Maina at a tender age. As the story paces up, his feelings grow stronger. This takes you through the different phases of Tublu's life - School , College, Degree college and Work. 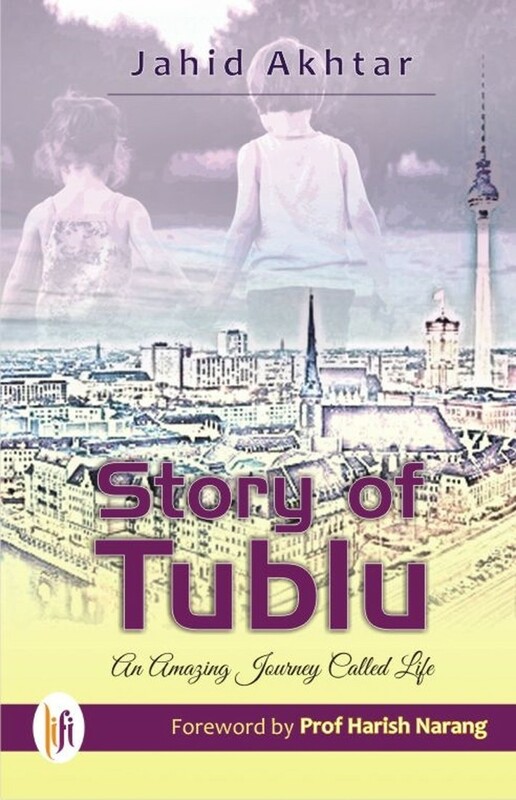 Tublu, a brilliant student, excels at different stages of his life, be it his - college, exams or job. He gets an handsome job and during this process he befriends several people. His campus life would make you nostalgic as I believe everyone of you must have gone through that phase. But even then at every moment, memories of Maina haunts him time and again. Unable to digest the fact about Maina's relationship with Ikram, her college senior, Tublu wishes for her happiness. As the story sails slowly like a cruise on an ocean, Mr. Sharma develops lung cancer and he has a wish to get her daughter Maina married. Out of haste, they get Maina married to Suraj, a professor at the Delhi University, who kicks the bucket soon. Maina, pregnant with Suraj's child, moves to Berlin as a part of her company assignment for a long term basis. Tublo's life revolves around different cities like Bangalore, Chennai, Mumbai, Berlin and New Jersey and he never stops thinking about Maina. His longings and cravings for her is beautifully expressed in form of words.The story ends with Tublu getting married to his childhood crush that brings to the closure of the book. Story telling is an art. Jahid Akhtar seems to have mastered this art of story teller. This first time Author has this unique knack of story telling that is a key to entering a Readers mind. The greatest skill of a writer is to make a reader imagine instead of reading. The characters should wander around in front of the readers eyes and Jahid has done this convincingly. Simplicity is something that connects a story to its reader. The language and narration is very simple! It flows neat and smooth. The closure of the book would definitely remind you of the young Tublu with his father at Mr. Sharma's gates. There are many people who enter our life and there are only few who remain forever with us in this journey of life. Such special ones are like jewels, a precious one! Its natural to preserve them. This book has love, relationship, friendship, longings, drama, college humor, cigarettes and almost everything that you are looking for! This gift could be a perfect gift for someone whom you love, an old friend from school or college or anyone who has marked an impact in your life! I give 4/5 for this book - for its simplicity and easy connect that it has to offers. It touches the heart and I could almost visualize the characters and I completed the book at one sitting!